The idea of this activity is for each student to have a print out of the communication board with the vocabulary words on it. This communication board is to be used like Melody Brooks used hers in the novel. 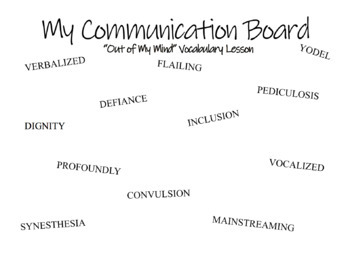 The students will write in the meaning of the word on their communication board. This product includes a list of the vocabulary words and their meanings.